Much has been said about the alleged Kardashian curse through the years. It’s believed in many fanbase communities that any significant other attached to the women in the Kardashian family will be on the fast track to ruin. From highlighting previous examples to fans petitioning to bar the high-profile family from attending games, the sports world faithful have expressed themselves in several different ways. The team is 11-5 in the last 16 games. 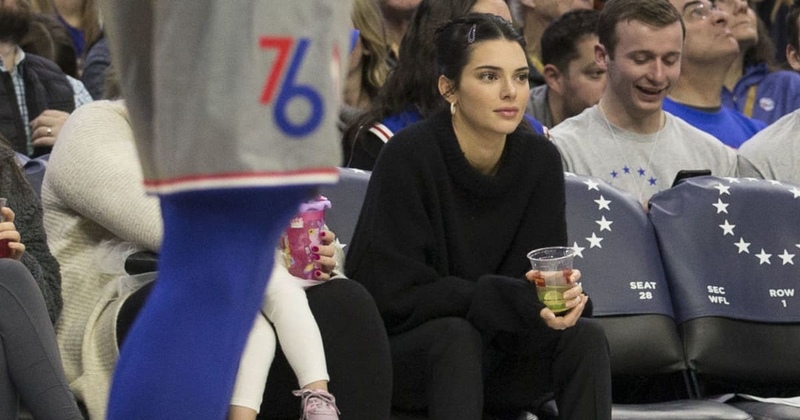 Several of which Jenner has been in attendance. Fans have spotted the duo around town at Drexel basketball games, restaurants, and walking through the city. If the team keeps winning with her at the games, it may be time to start a petition to have Franklin, the team’s mascot, be replaced by the top model.